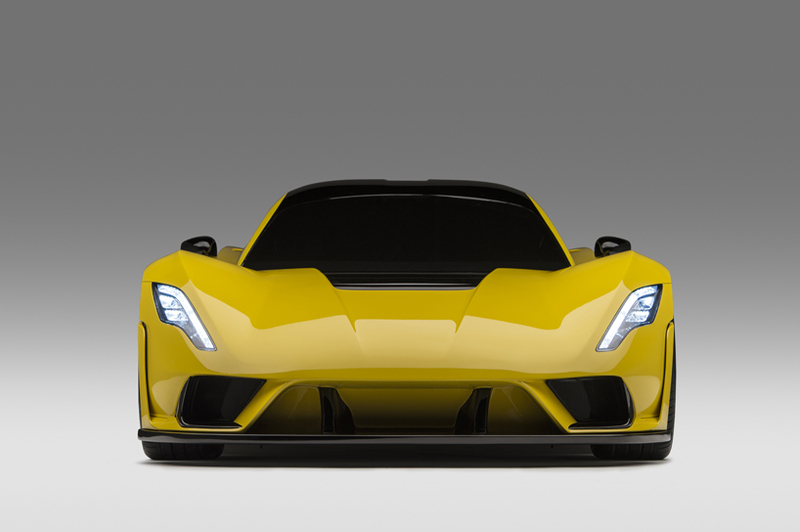 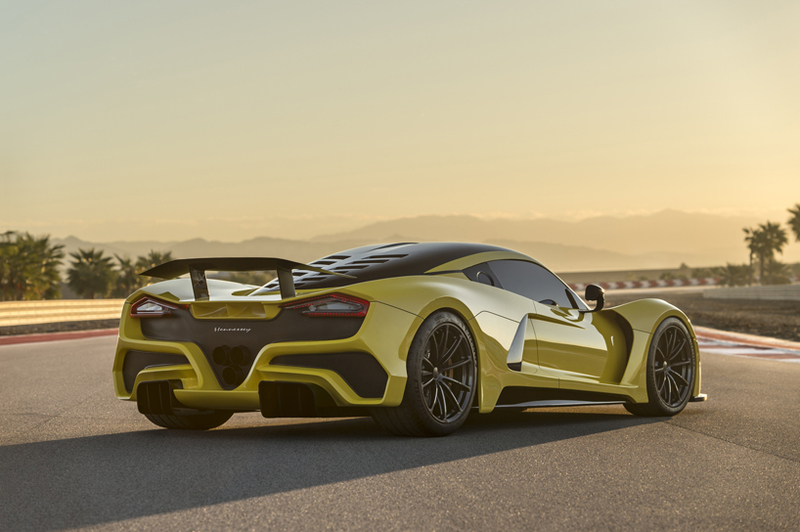 Hennessey unveils its much-anticipated 301 mph 1600 bhp Venom F5 hypercar. 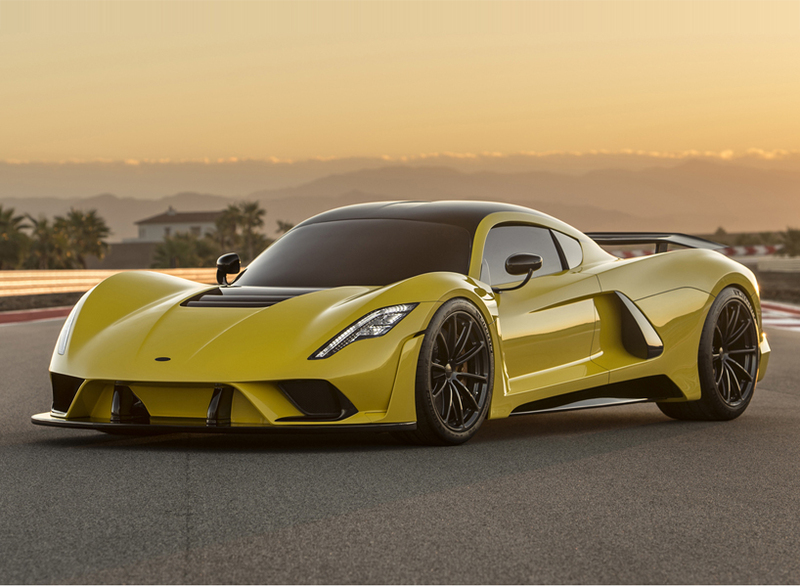 Hennessey advertises the Venom F5’s top speed to be an insane 300 mph, which would make it the fastest production car in the world. 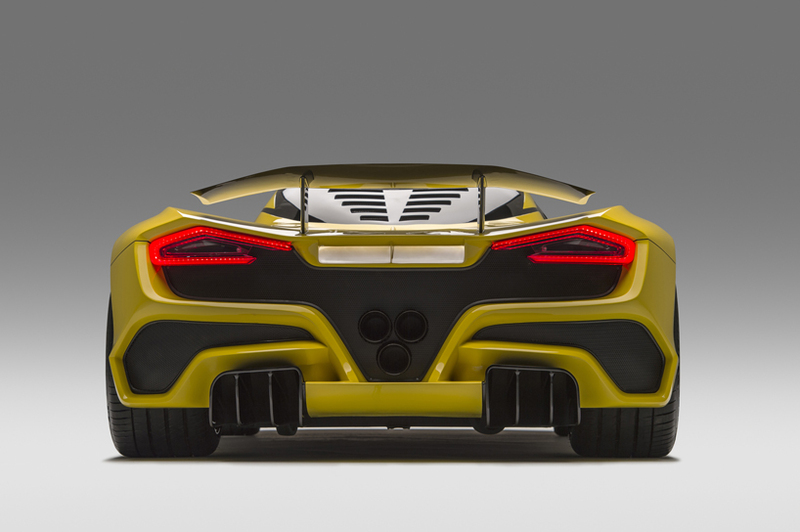 While it follows the Venom GT’s footsteps in obscene performance levels, it doesn’t use a modified Lotus chassis. 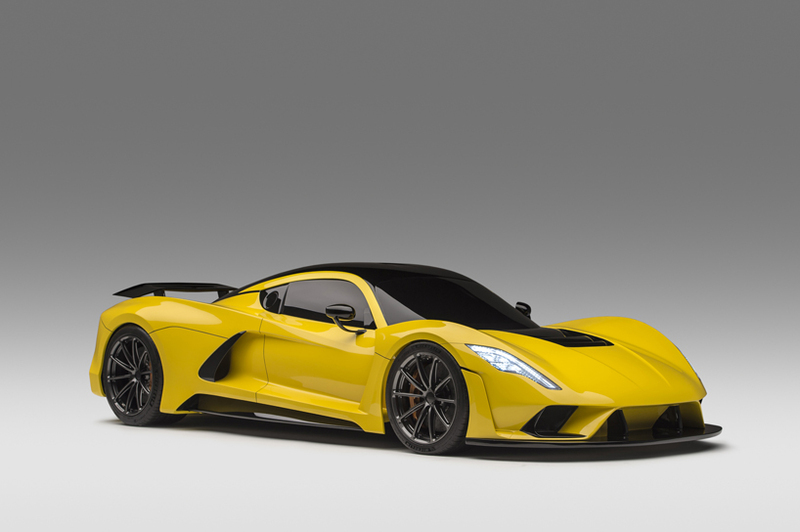 The 1,600-hp hypercar will use a lightweight chassis designed in-house to complement the lightweight carbon-fiber body. 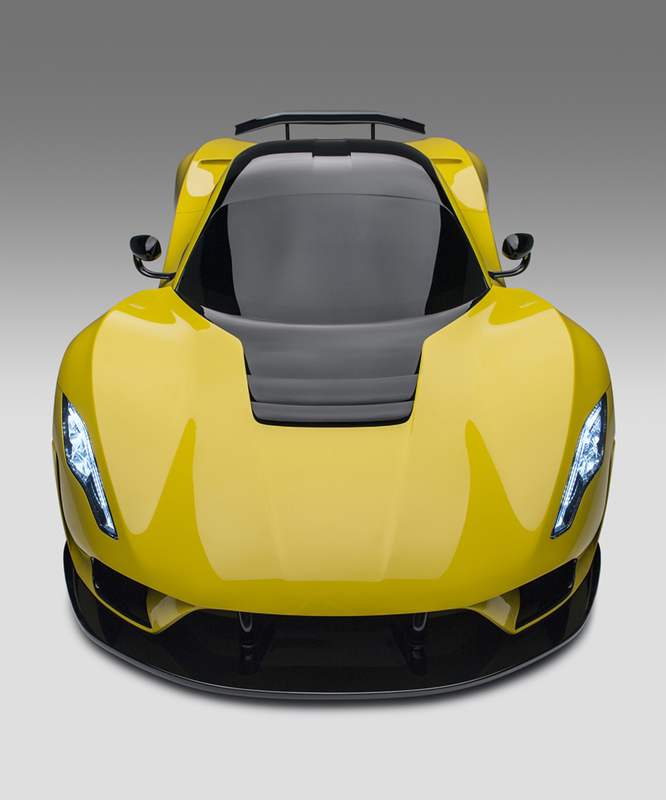 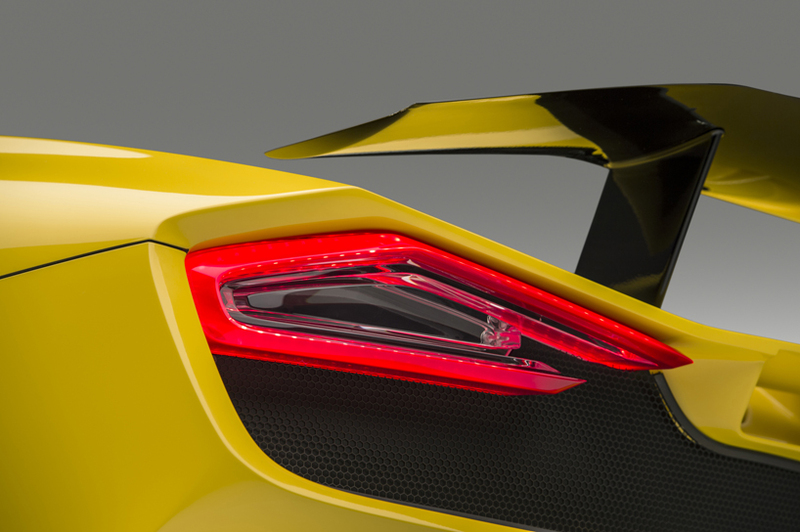 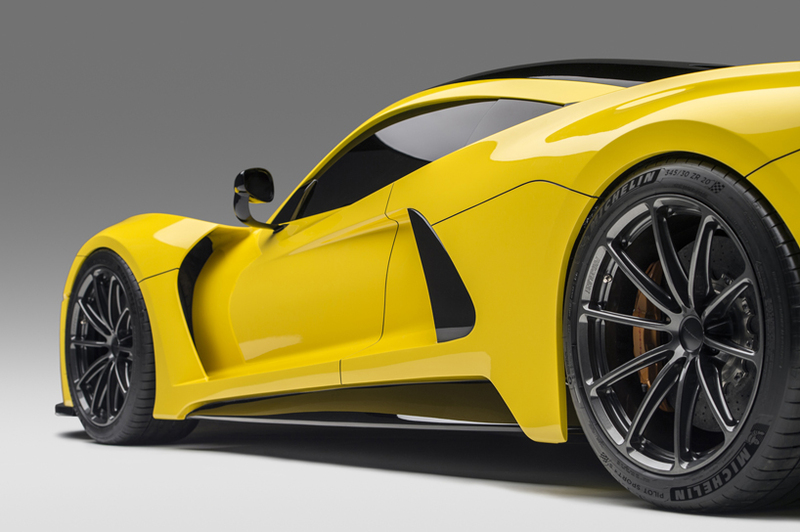 The company claims the Venom F5 will have a curb weight of only 2,950 pounds. 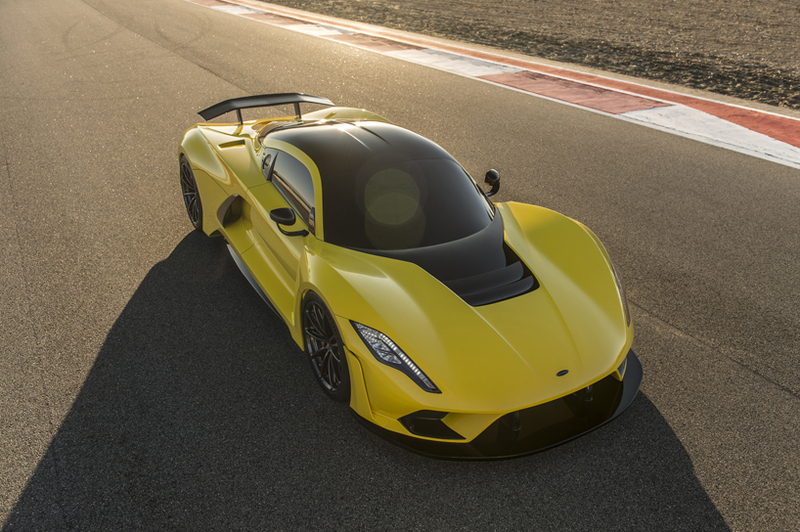 The team has developed a new design, chassis and carbon fiber body focused on aerodynamics to achieve the lowest possible drag, with a coefficient of just 0.33.